Any change in an Illinois nursing home resident’s condition must be immediately reported to their physician and Power of Attorney (POA)/Responsible Family Member. This quick notification ensures that the injured, sick or health-declining patient can receive immediate medical attention if necessary. Unfortunately, many nursing homes fail to adequately train their nursing staff or neglect to take appropriate measures in accordance with facility policy and state/federal laws concerning notification and providing treatment. Rosenfeld Injury Lawyers LLC represent patients residing at Illinois nursing homes like Rock Falls Rehabilitation and Health Care Center, who have suffered from the negligence of their caregivers. As a part of the Peterson Health Care System, Rock Falls Rehabilitation & Health Care Center provides its residents memory care, Alzheimer’s care, skilled nursing care and the Peterson Pathways Rehabilitation Program. A list of safety concerns, health violations, filed complaints and opened investigations on nationwide nursing homes can be downloaded from federal and state database websites including Medicare.gov. Many families use this data to determine the best facility to place a loved one who requires the highest level of hygiene assistance and skilled health care. 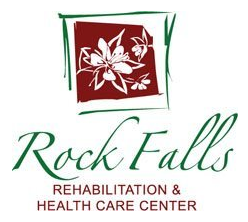 If you suspect your loved one has been abused or neglected while living at Rock Falls Rehabilitation and Health Care Center, you must act quickly by calling the Rosenfeld Injury Lawyers LLC law office to stop the mistreatment now. Our Rock Falls law firm can provide various options and legal representation on your behalf to hold those responsible for causing your loved one harm both legally and financially accountable. We encourage you to contact our Whiteside County elder abuse law offices by calling (888) 424-5757 today to schedule your free, full case evaluation. We provide immediate legal representation without any upfront payment or fee. Our legal services are paid only after we have successfully resolved your case in a court of law or through a negotiated out-of-court settlement.